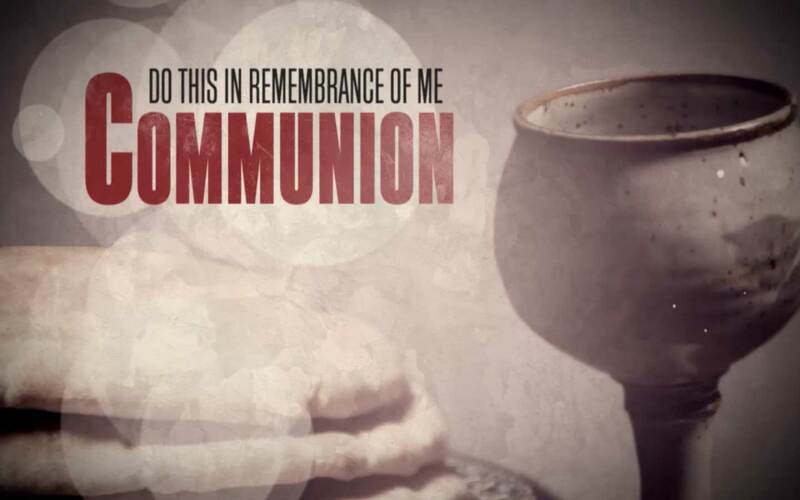 Communion is a special time dedicated to remember Lord’s sacrifice. It cannot be done hastily. As a matter of fact, I believe there are 5 directions we need to look, as we approach the table of communion and partake in the bread and wine, the body and blood of Jesus Christ (1 Cor 11:23-32, 1 Cor 10:16-17). 1. WE LOOK BACK – at who we were (dead in our sins), and what Christ did on the cross for us. God wants us to acknowledge our sins and humbly ask for forgiveness. When we look within, the question we asked, is not “Have we been perfect, to deserve to partake in communion” (because no one can say they lived in such a way that they are without sin and worthy of communion), but rather, what is the condition of our heart? Is Jesus the center of our life, faith and hope? During communion, we must take a minute and look around, see who is missing, and pray for them. We are one body, and are called to hold each other accountable, encourage and admonish one another. Call them after communion, let them know you missed them, and prayed for them. The fourth look is to the future. During communion, we look ahead to the day of the Great Wedding Supper of the Lamb. It will be the day when He will wipe away our tears; it will be a place where there will no more sickness and pain, and we will see Jesus face to face! will neither slumber nor sleep. The Lord is your keeper; the Lord is your shade on your right hand. The sun shall not strike you by day, nor the moon by night. The Lord will keep you from all evil; he will keep your life. The Lord will keep your going out and your coming in from this time forth and forevermore. During communion, it is a great time to pray for one another, pray for healing, restoration and peace. It is a time set aside to look up corporately and individually, for our help comes from the Lord!